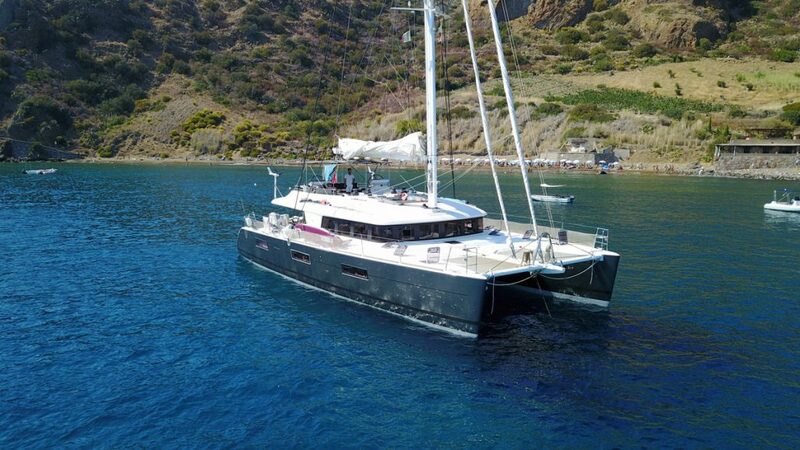 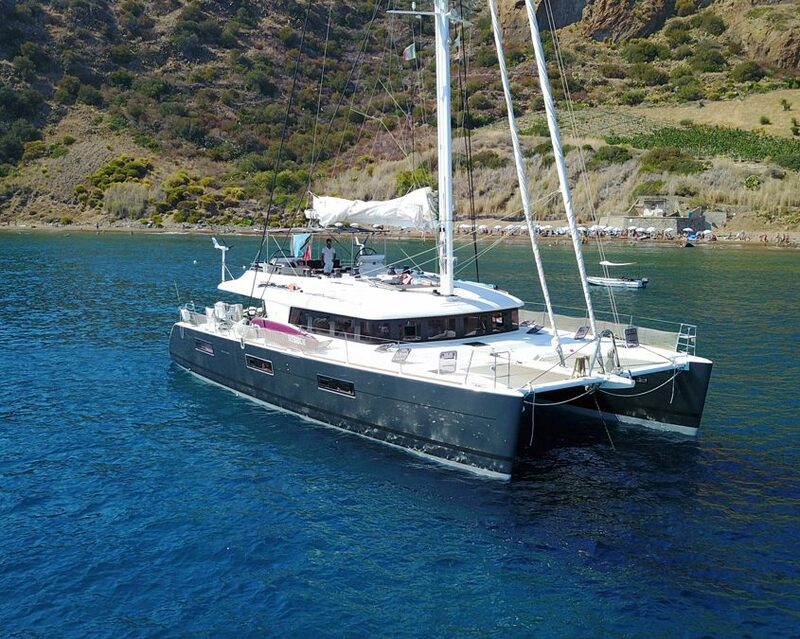 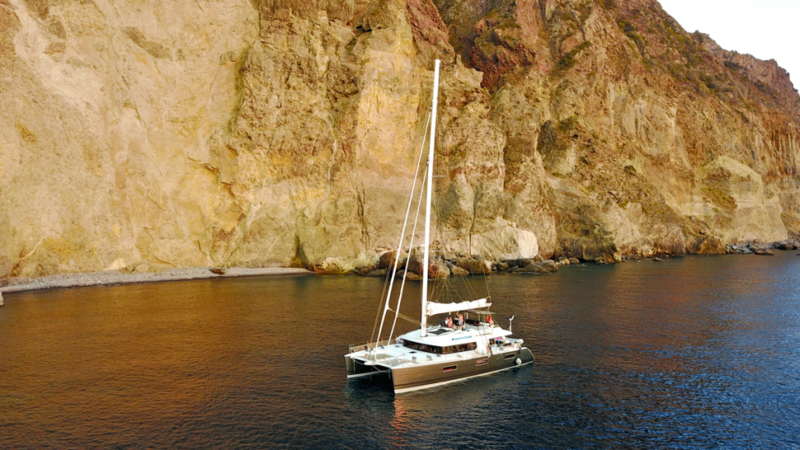 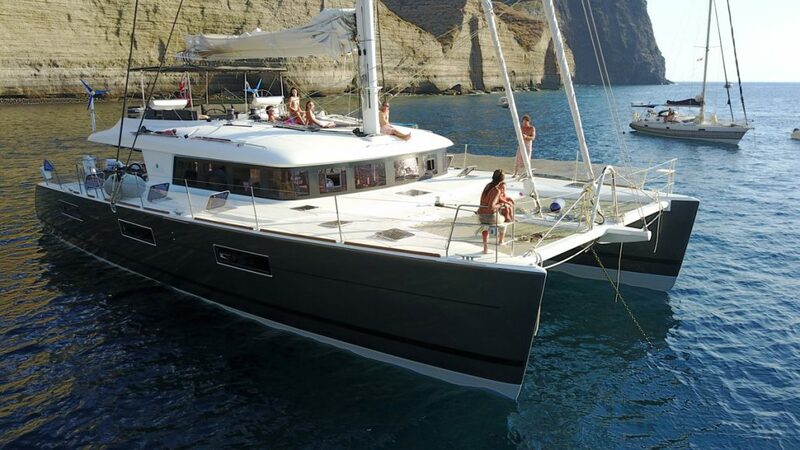 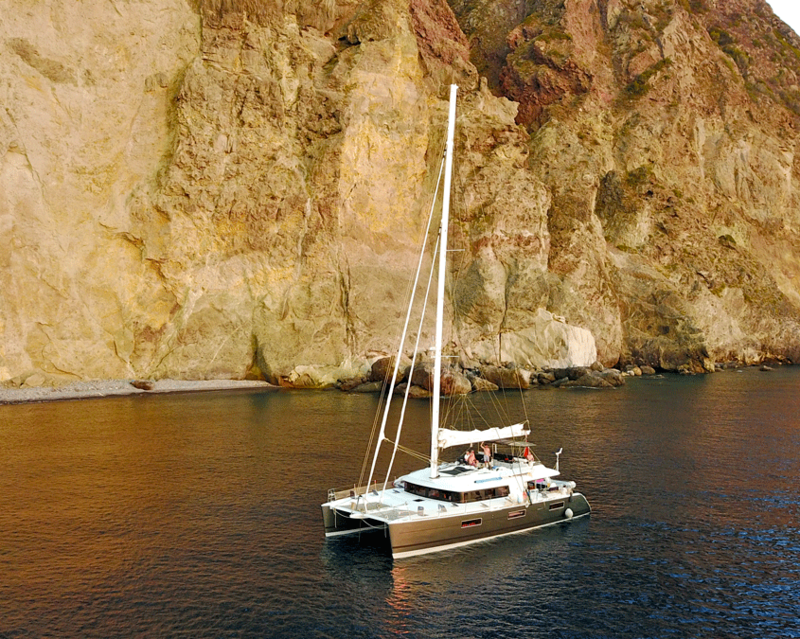 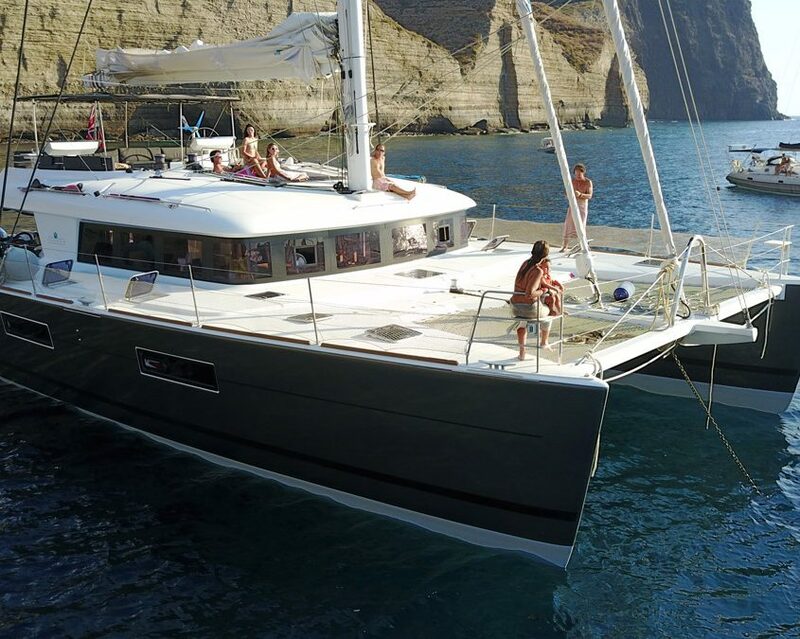 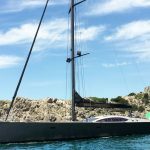 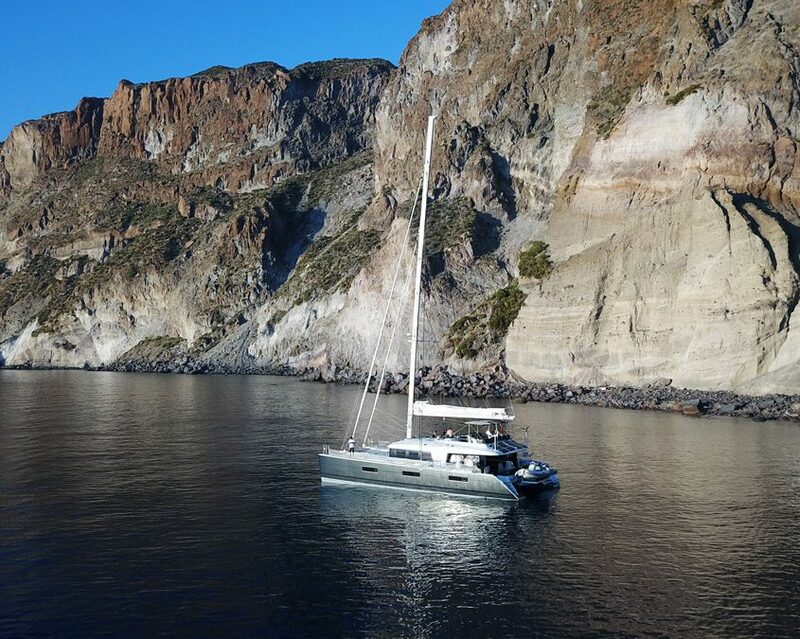 Kaskazi Four is a well-known Lagoon 620, pretty new, launched in May 2016. 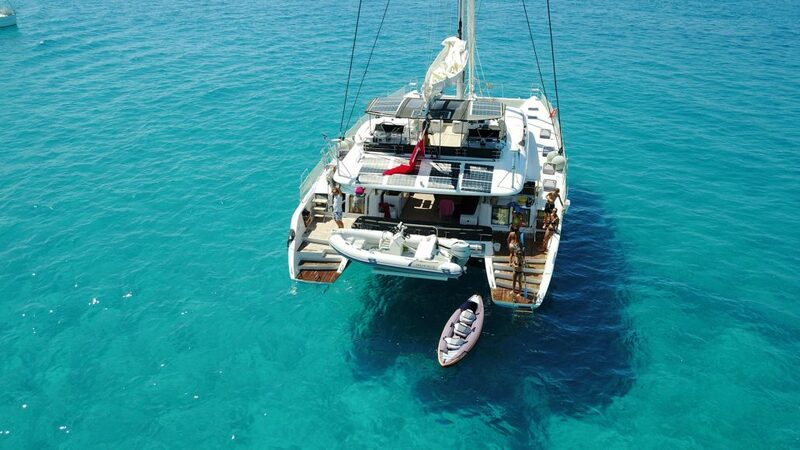 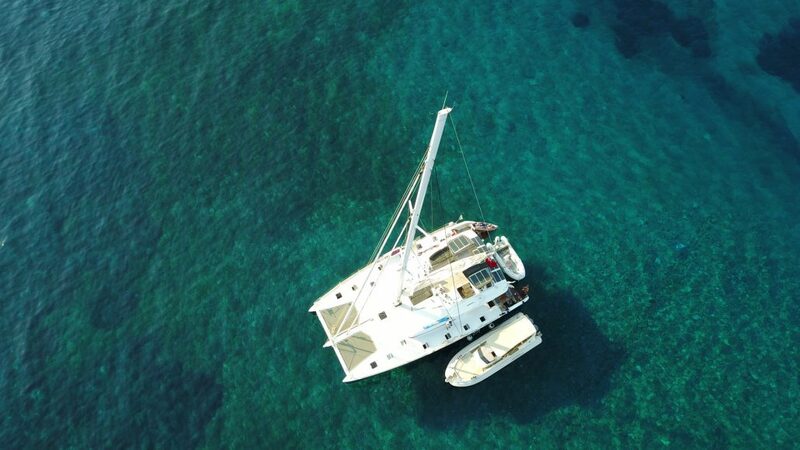 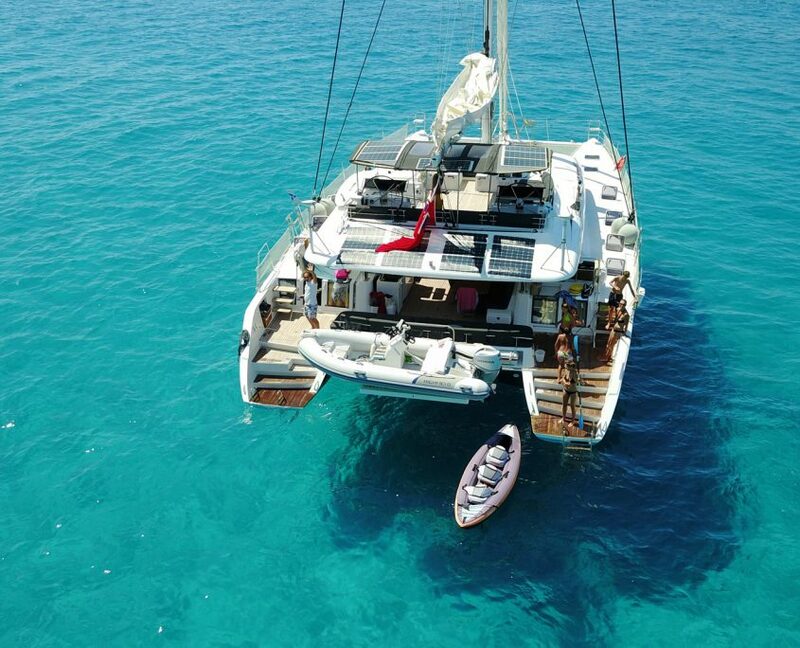 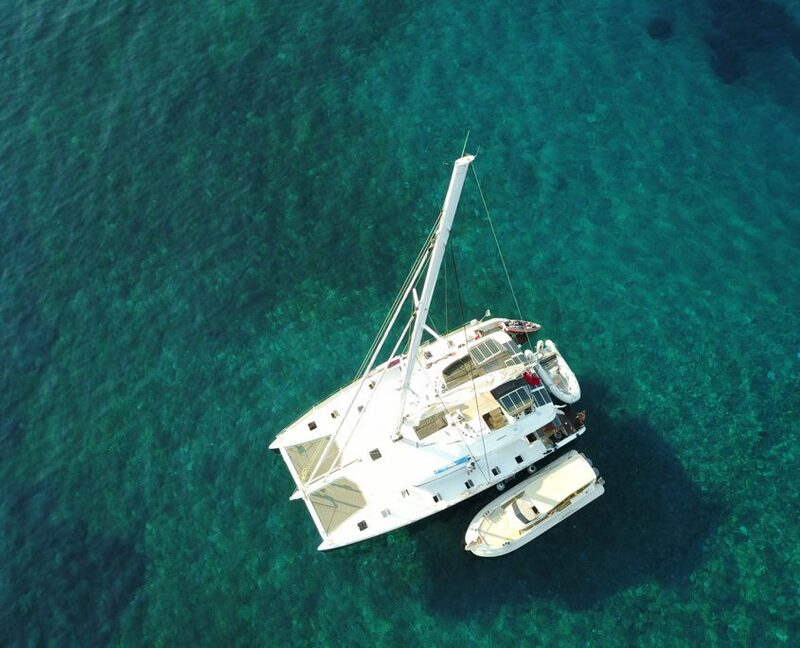 Nevertheless, compared to twin yachts, she is very innovative. 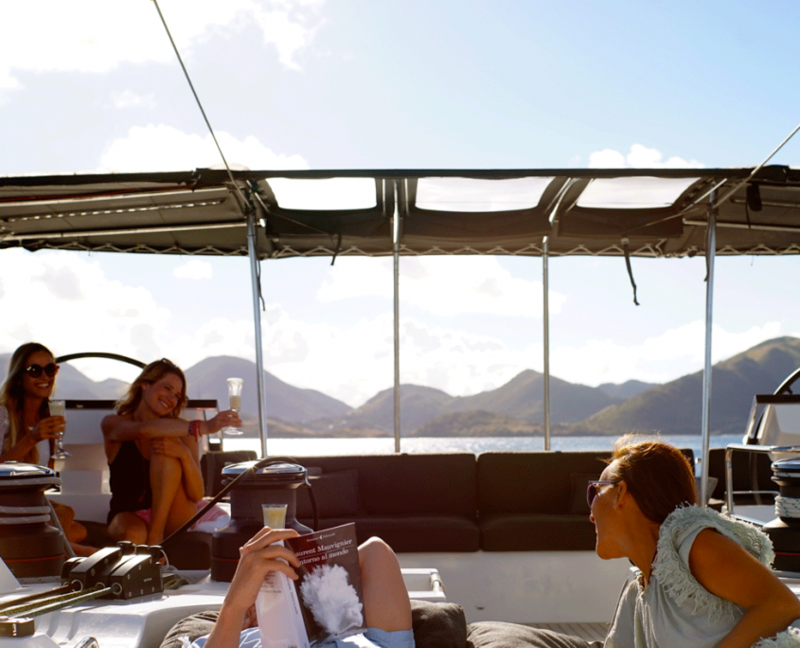 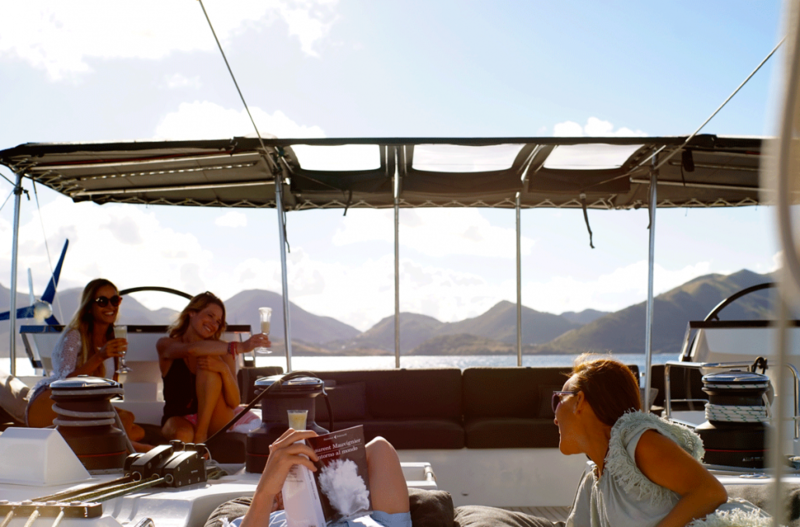 Air conditioning, watermaker, generator, solar panels and Aeolic gens, every kind of water Toys. 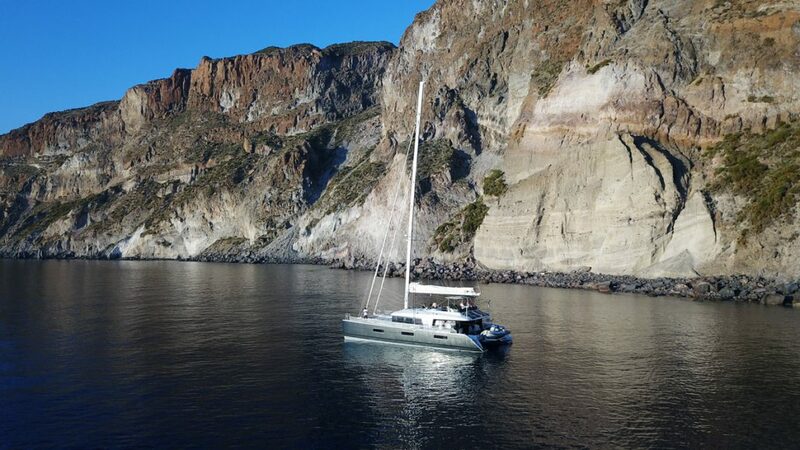 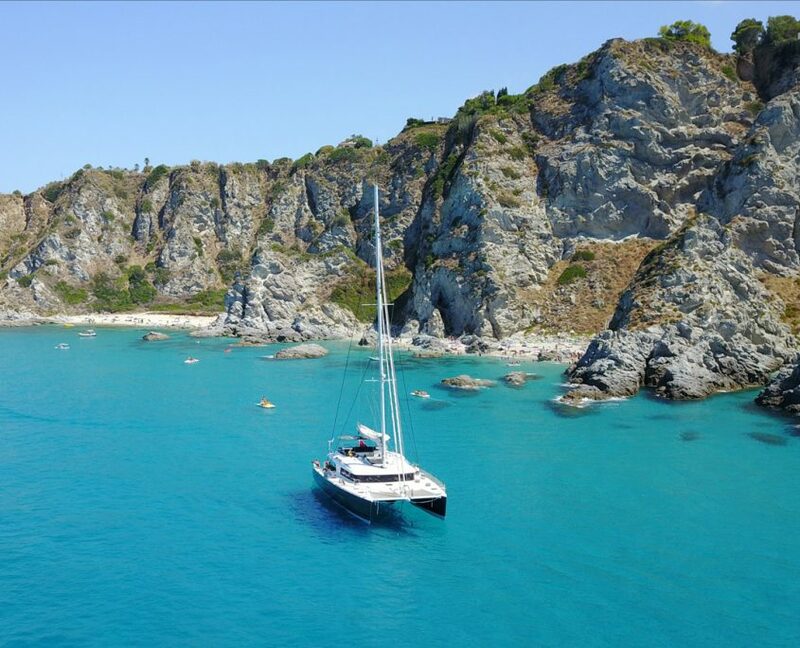 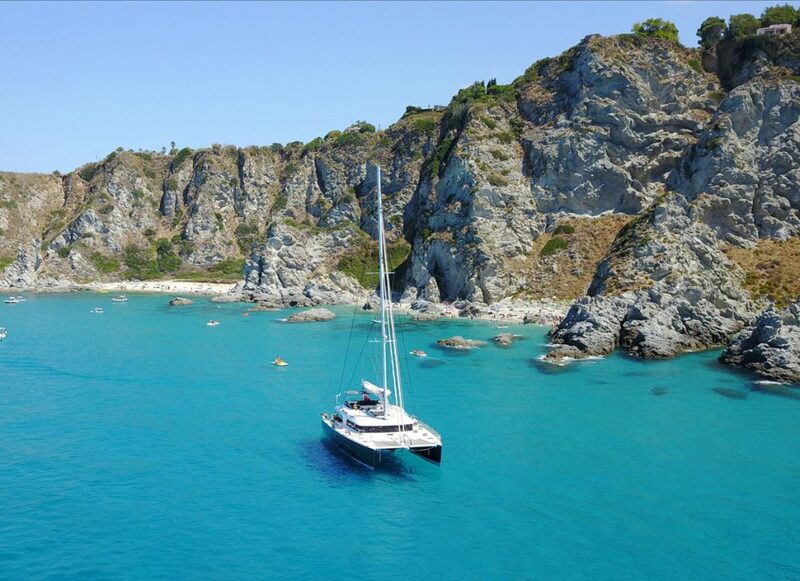 Nothing’s missing on Kaskazi, including a professional wine cellar.But, mainly, Kaskazi is run by the Captain Francesco Rinauro and his crew who know by heart and better than anybody else the summer preferred a sailing area where they have always been living and operating: the south-west coast of Italy, Sicily, Aeolian Islands, Ponza archipelago, Capri, Ischia, Procida. 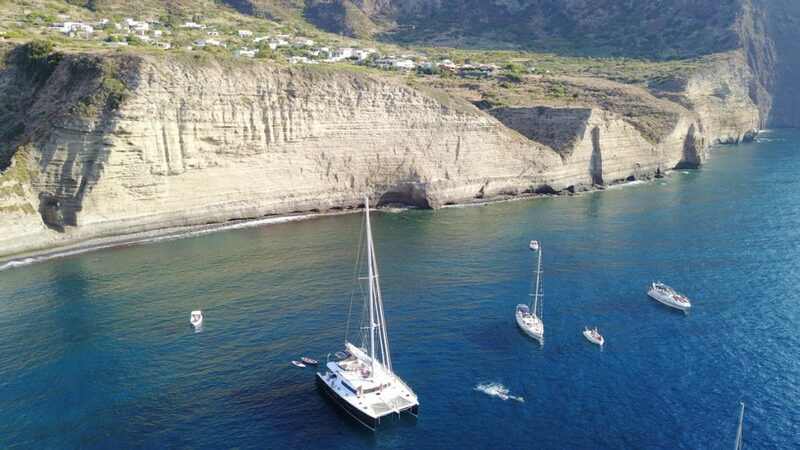 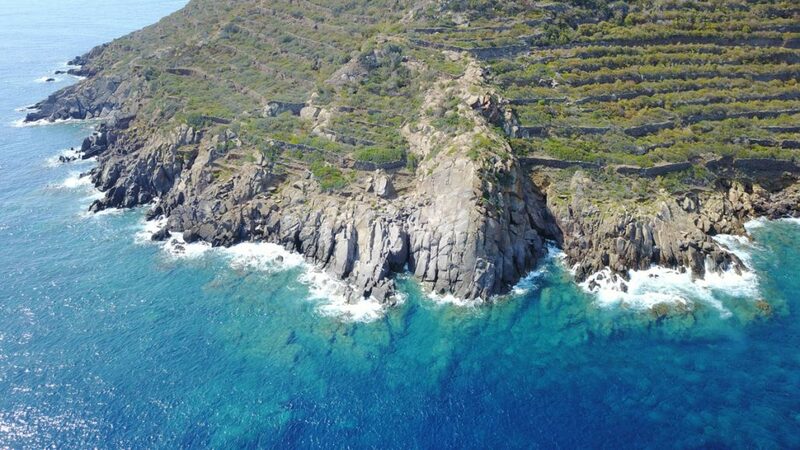 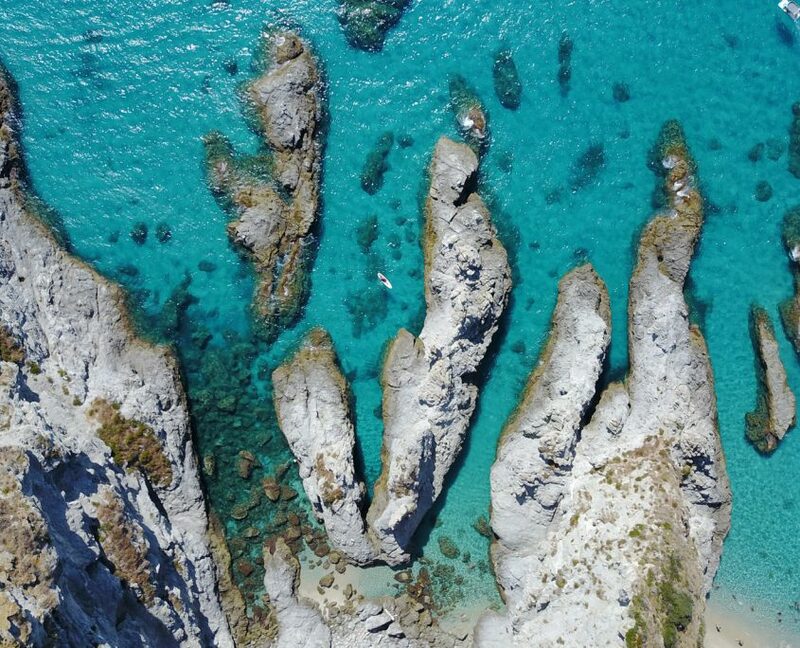 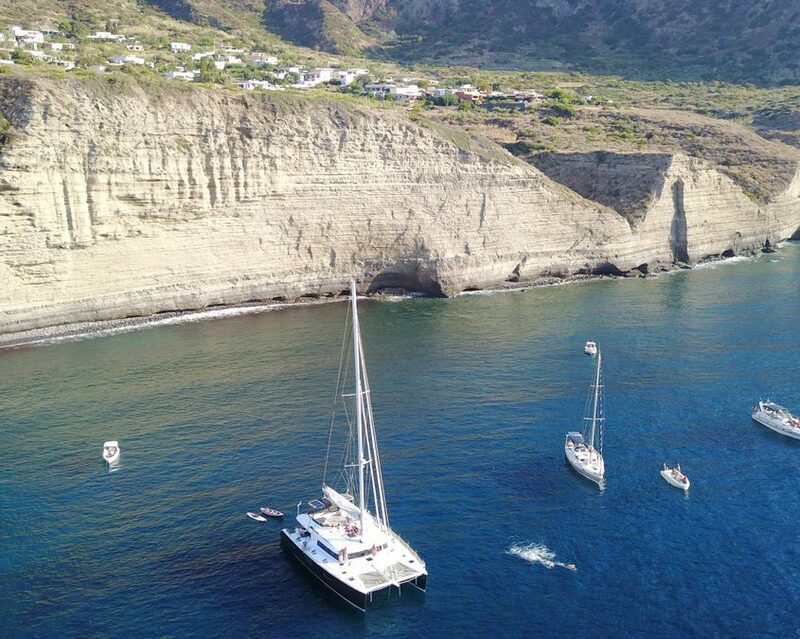 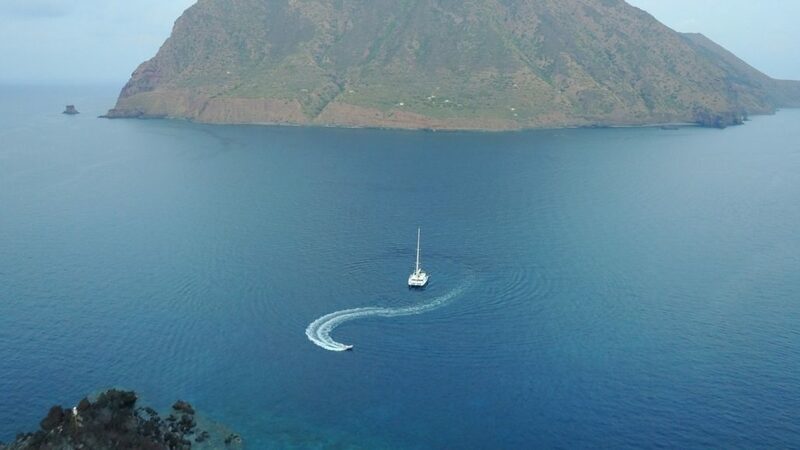 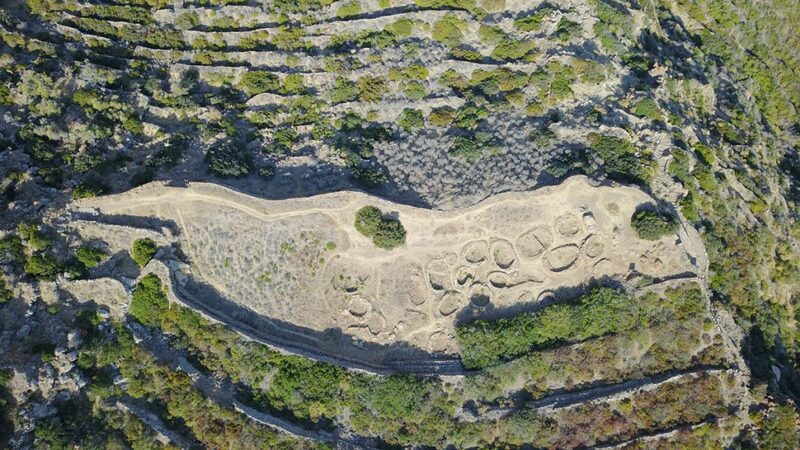 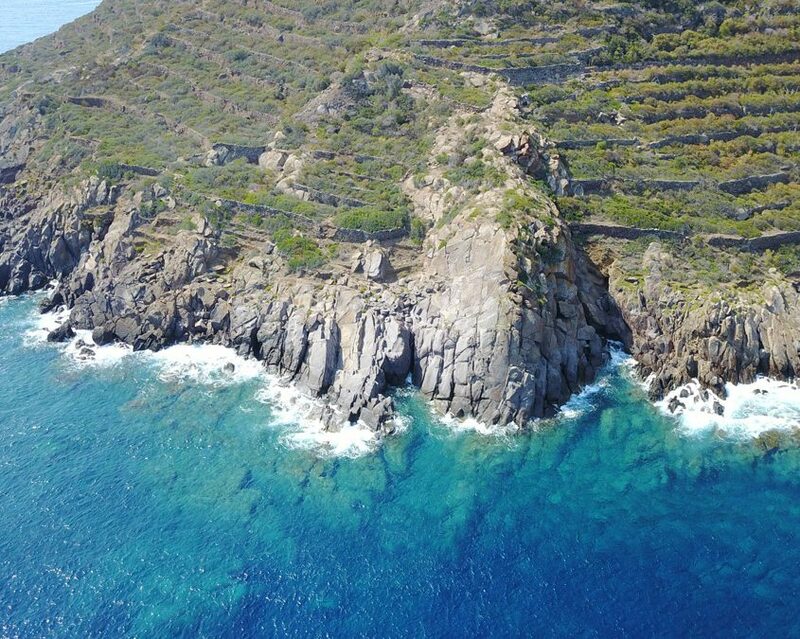 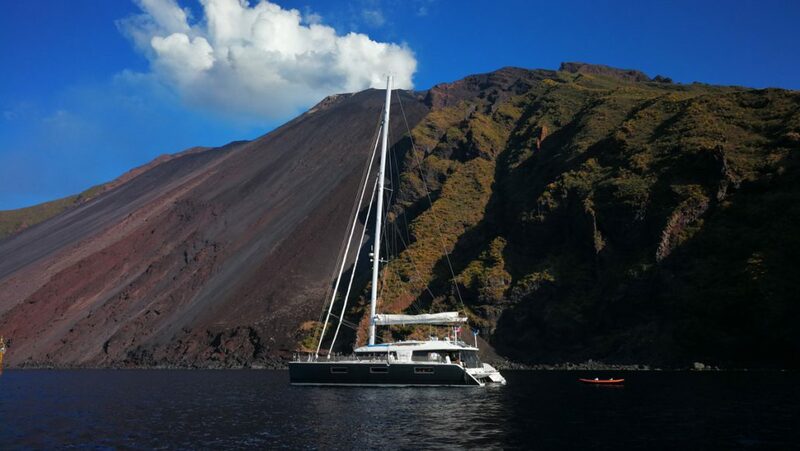 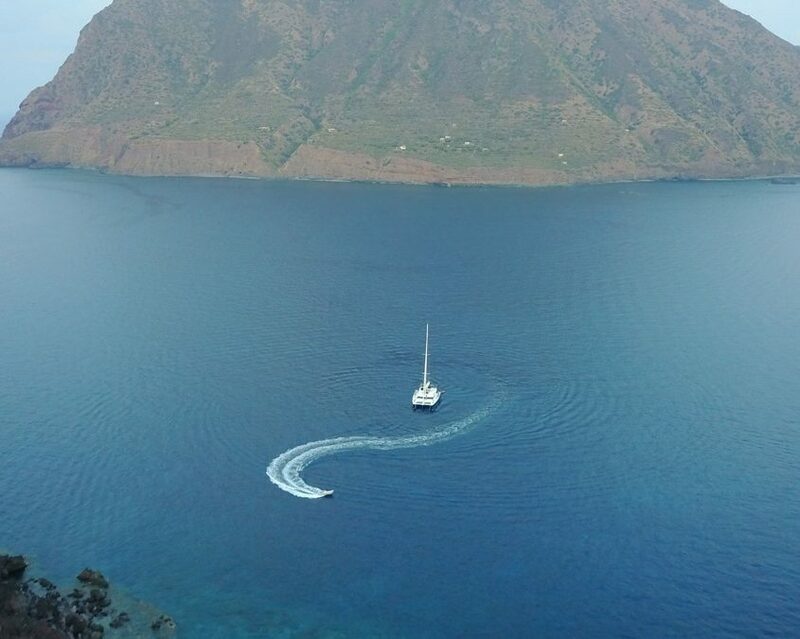 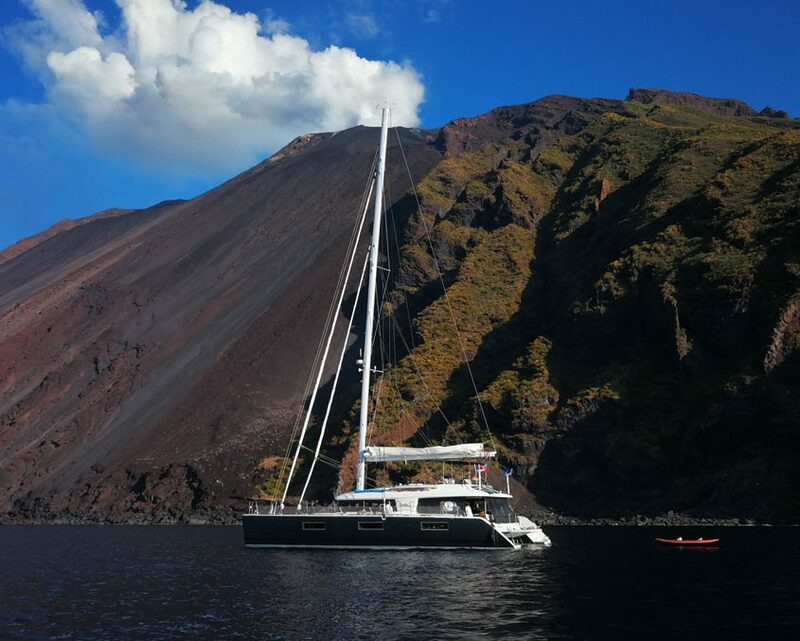 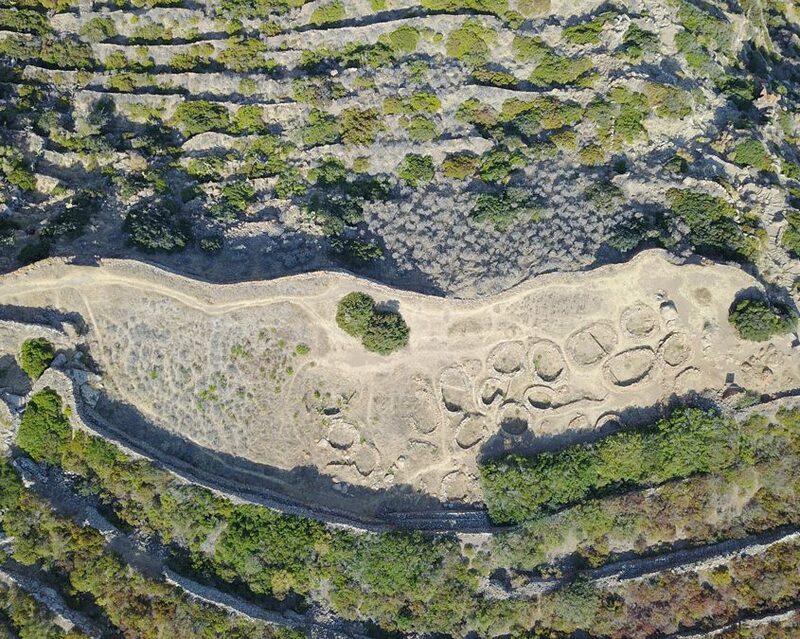 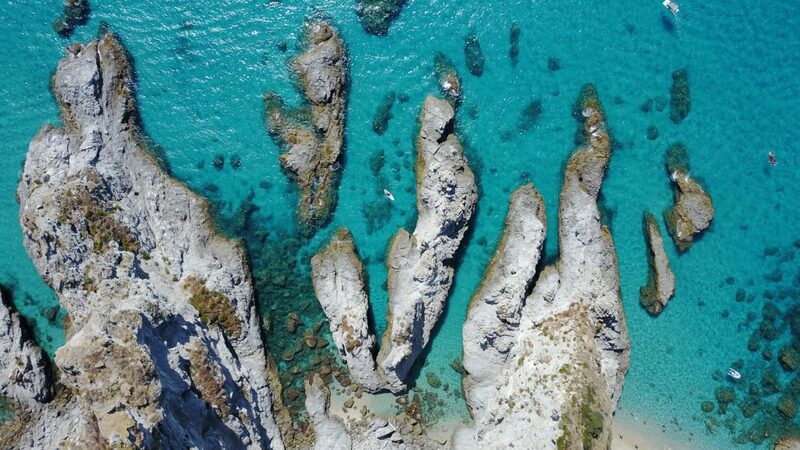 Diving, fishing, archaeological paths, the impressive beauty of active volcanoes, the Italian history and culture and… one of the most beautiful sea worldwide. 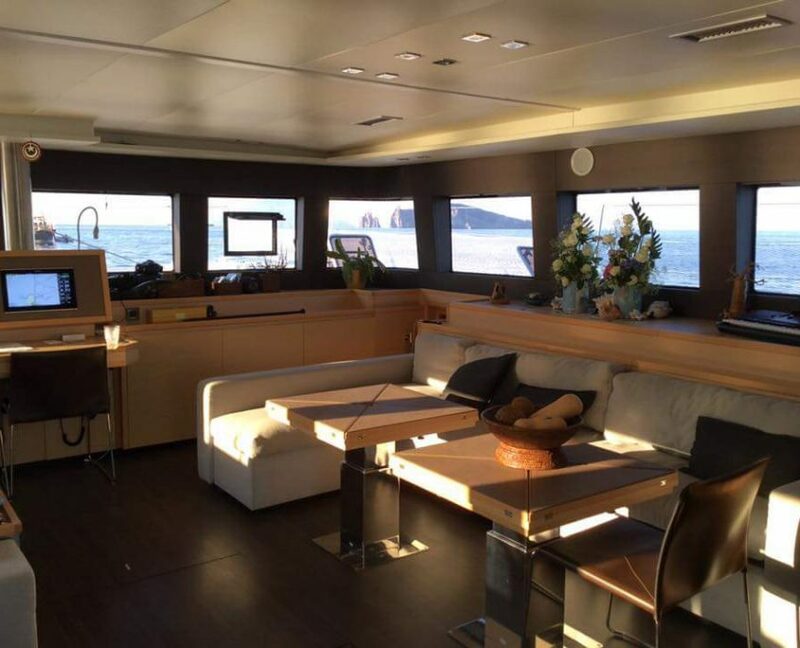 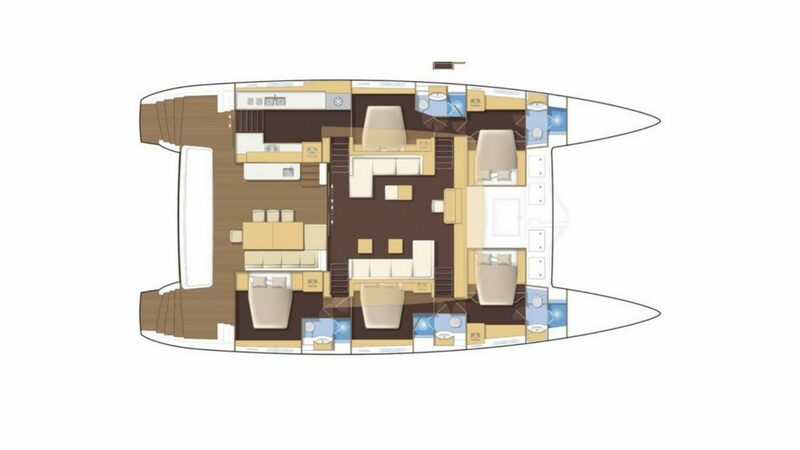 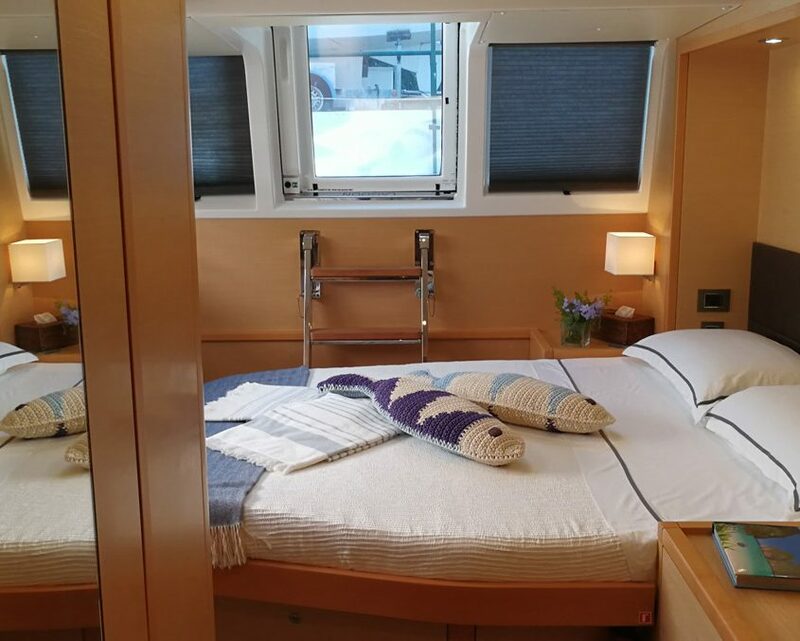 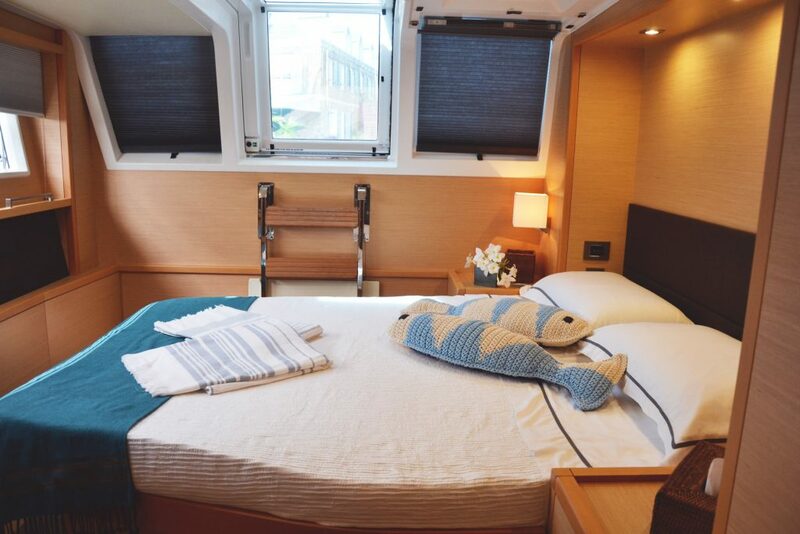 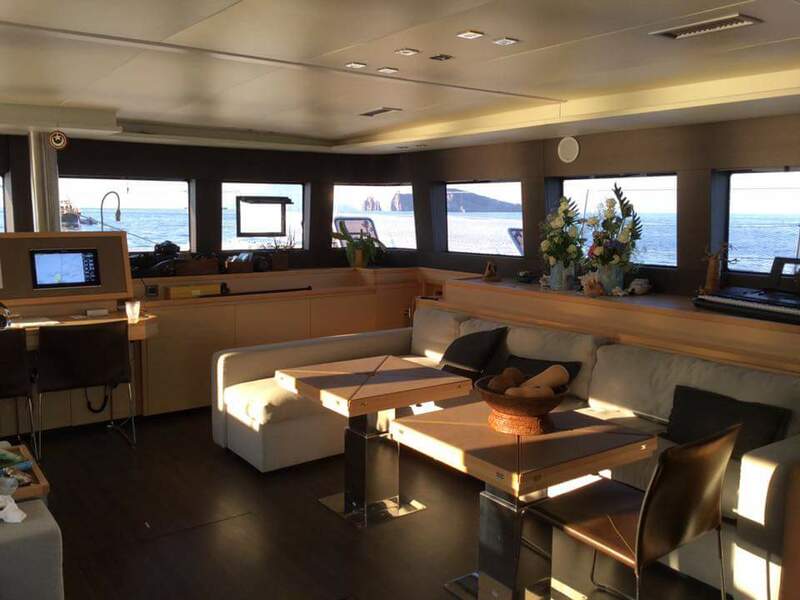 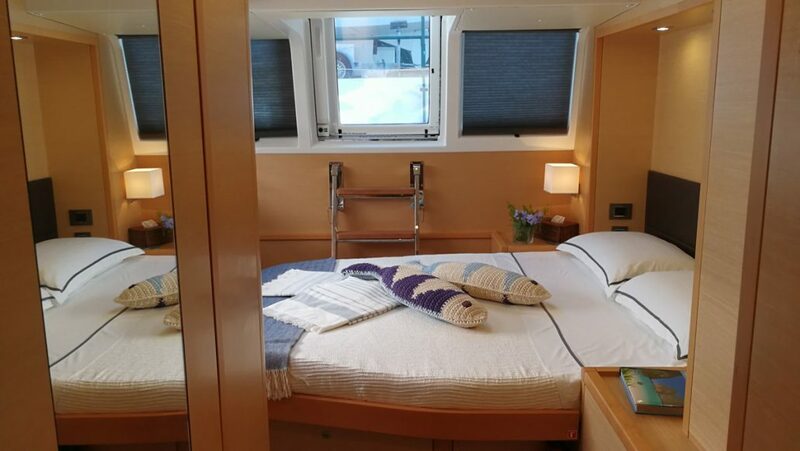 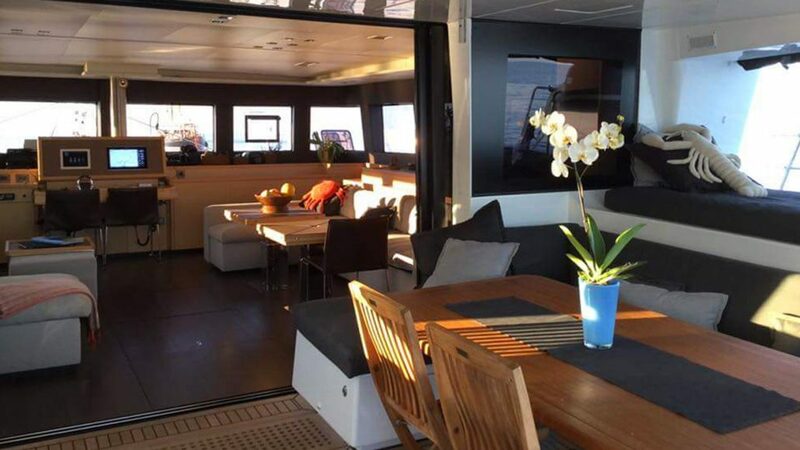 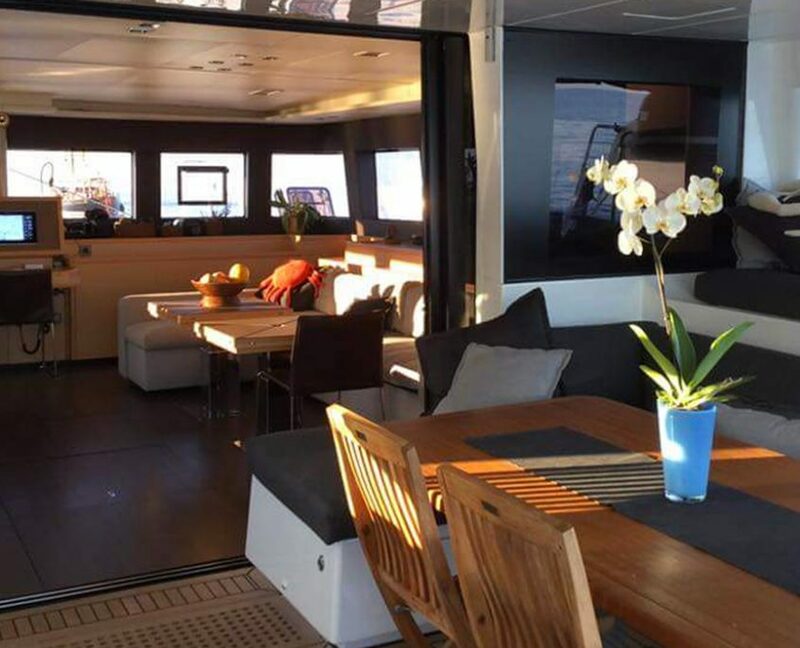 OptionsAir Conditioning, watermaker 280 l/h, generator 17kw, 20 solar panels, 2Inverter, fan in each cabin, wine cellar, ice maker in the cockpit, children net protection.